Our guests are invited to make use of the upstairs library. Tea and coffee will be supplied if desired. 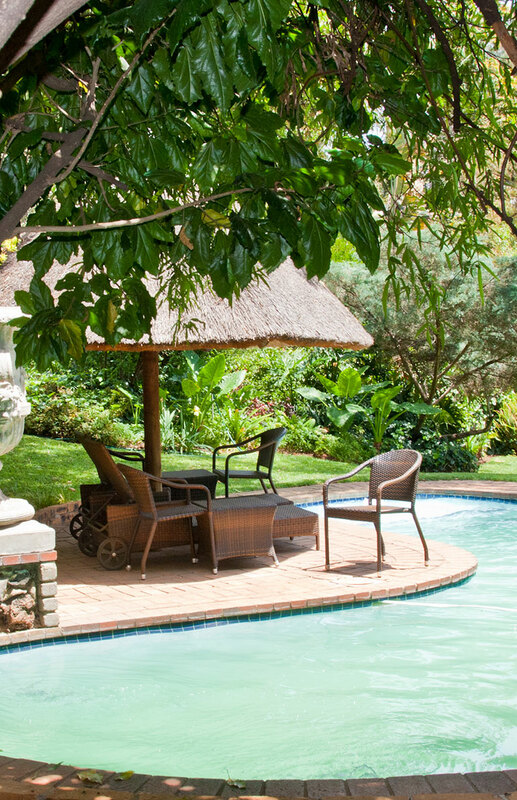 Enjoy a book or magazine overlooking the serene garden and guest house’s sparkling pool. 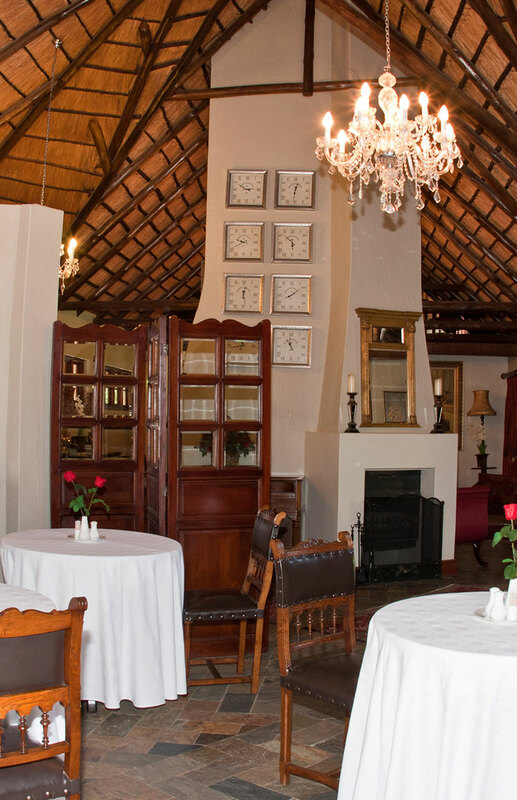 Breakfast is served from 07h00 – 09h00 Mondays to Fridays and from 08h00 – 10h00 on Weekends and public holidays. Breakfasts are served in the dining area, on the patio or in the courtyard during summer. The private dining room seats six people. It is an ideal area for private business meetings or intimate dinner parties. This room can also be booked for private or mini-functions by prior arrangement. An outdoor swimming pool in the heart of our garden is also available to for the use by our guests to swim, relax, read a book or enjoy a drink. 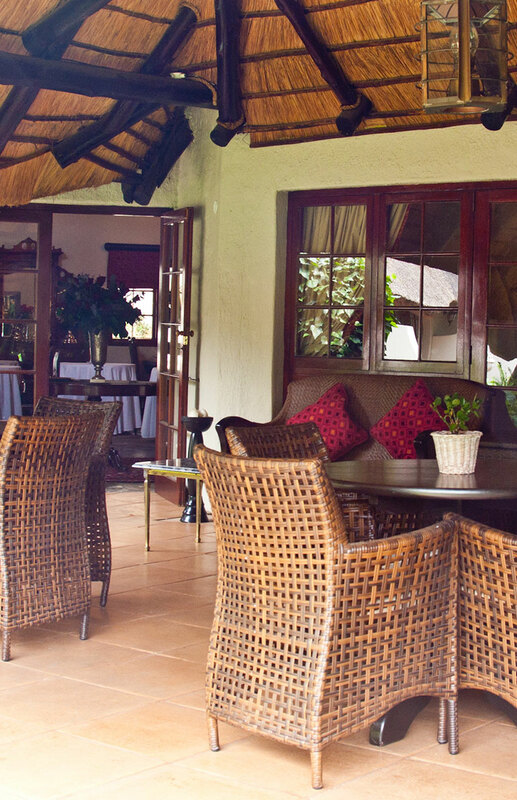 Join us on the spacious covered patio for an enjoyable sundowner, dinner or for functions. Other Facilities includes an Airport shuttle by prior arrangement by an outside company, secure off street parking and Broadband Internet WIFI available throughout the property.